Set in an old terrace house, Chisou Japanese Restaurant Knightsbridge is a cosy hideaway from the busy streets of Chelsea and Kensington. Inside you will find a restaurant design influenced by old Japanese tea houses. Set over two floors with a street-level restaurant and a first-floor sake bar and dining space. The menu spans sushi, sashimi, tempura, noodles and grills. A premium sake list and an extensive wine card are the perfect matches for the authentic dishes. You can find us minutes from Harrods and a short walk from South Kensington museums and attractions. The fish is always fresh and tasty. (Never chewy or smelly). It feels safe to eat raw fish there. They have a great variety menu to choose from, and many times they offer the fixed menu which is very good value to order and enjoy. Great meal. Our first experience with Japanese food. Great staff and service. Top quality and service as usual. Chisou never fails to its expectations! Authentic Japanese food at reasonable prices. 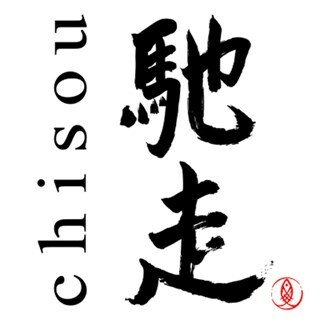 Really great restaurant with real quality food and staff, would definitely recommend Chisou to anyone looking for a great Japanese restaurant in London. All very good traditional flavours. Fantastic food and the Sake was especiialy good! Superb place. Classy without the "scene" of Zuna or Nobu. We have enjoyed Chisou for years and this was the first time we had a bad evening and I have to say, we will likely not return. Service was abominable - not even the fault of our waiter but rather the kitchen failed to send the food in a timely manner. When it did come, it was not generous and not terribly good. Room was noisy and I felt like I was eating at Victoria Station - very crowded in my noisy corner with nothing to eat. Was very pleased with the food! I went there with my fiancé For a birthday meal and their sushi was amazing. We love Japanese food and will be visiting again (hopefully soon). My wife's fur was stolen in the restaurant and we have reported the theft at the Police. Excellent creative dishes, enjoyed the food tremendously. Matched with excellent and speedy service. Unexpected in the area lovely wood decor gave a warm atmosphere. This is the first time we visited and were really happy with our lunch. They served fresh and very tasty food. The tempura and the teriyaki set-lunch are good value and the service was excellent. We will certainly eat there again.